Far North is like a half whispered tale told round a campfire way out in the tundra, a tale that keeps the fire going while freezing your blood. I’m not sure if it’s based on some Inuit parable or fable, but it certainly has the aura of such. There’s a whole lot of land up there, and most likely centuries of stories just like this one, witnessed only by the wolves and the winter cold, as well as the few hard bitten inhabitants who call it home. Michelle Yeoh is Saiva, an outcast from her tribe after being deemed cursed by her shaman at birth, left to wander the expanse alone. Her only companion is a young girl (Michelle Krusiec) who she rescued from marauding soldiers as a baby, and has raised somewhat as a daughter. 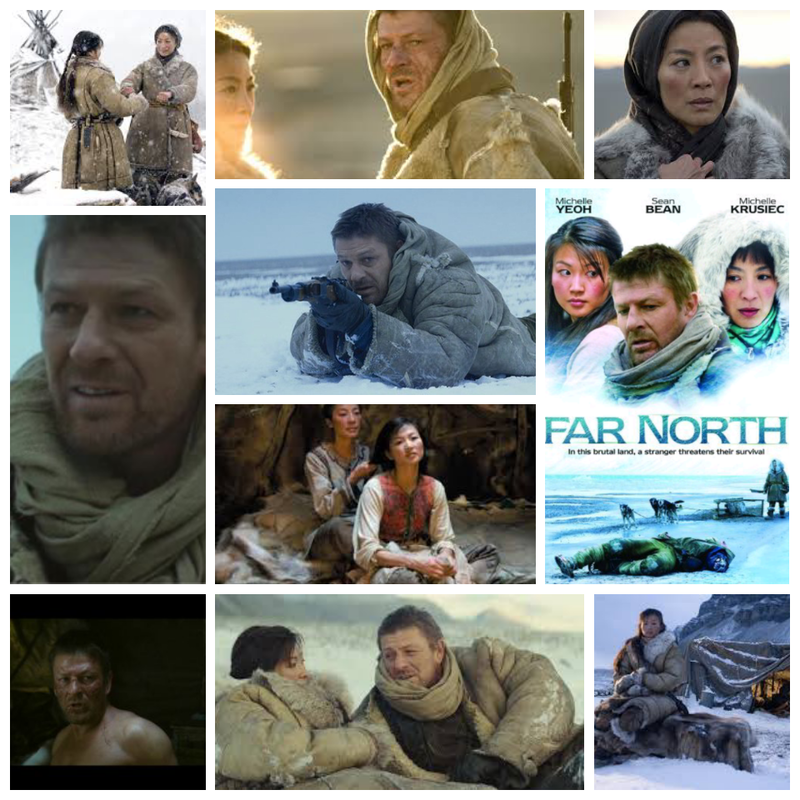 The two live an isolated existence, until Saiva finds half dead soldier Loki (Sean Bean) wandering the tundra, and reluctantly takes him in. That’s where trouble begins, as he takes a liking to the young girl, a bond is formed, and another is soured and broken. There’s a third act shocker that will have your skin crawling, a jarring act of violence, deception and betrayal that leaves us feeling as cold and cast out as Saiva, an existence which probably foretold such horrors years ago when the shaman gazed upon her face. It doesn’t quite fit with the lyrical beauty and ambient pace that came before, but it’s definitely an unforgettable way to end the story, and a reminder of humans and their capacity for darkness. Roaming caribou, miles of ice, wandering wolves, and the few humans who survive out there, perhaps affected by something deeper, something elemental that lives in the very air. Not a perfect film, but fascinating and quite unlike any other. Oh, and a warning: ther are some graphic and suspiciously realistic scenes of animal violence.